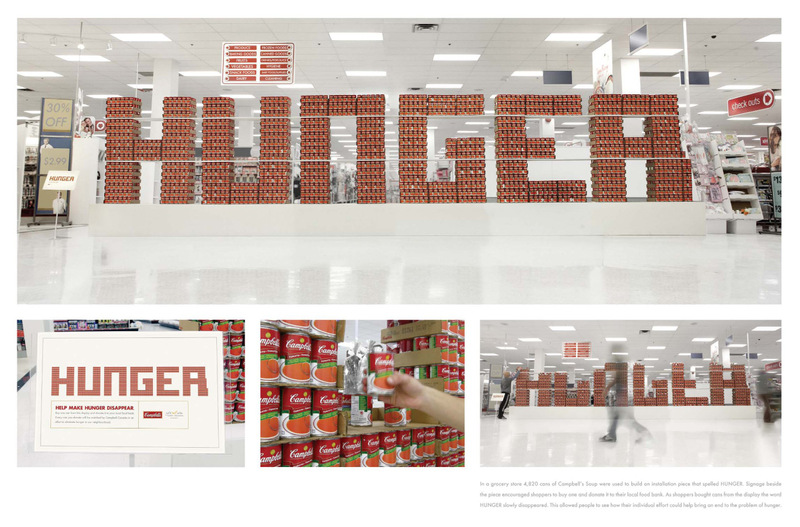 In a grocery store 4,820 canns of Campbell’s Soup were used to build an installation piece that spelled HUNGER. Signoge beside the piece encouraged shoppers to buy one and donate it to their local food bank. As shoppers bought cans from the display the word HUNGER slowly disappeared. This allowed people to see how their individual effort could help bring an end to the problem of hunger.